For over 60 years, researchers across the world have sought to deal with poisoning by nerve agents, the most toxic and lethal chemical weapons. To date, there is no efficient causal antidote with sufficient effect. Every trialed compound fails to fulfil one or more criteria (e.g. reactivation potency, broad reactivation profile). In this recent contribution, we focused our attention to one of the promising compounds, namely the bis-pyridinium reactivator K203. The oxime K203 is very often cited as the best reactivator against tabun poisoning. 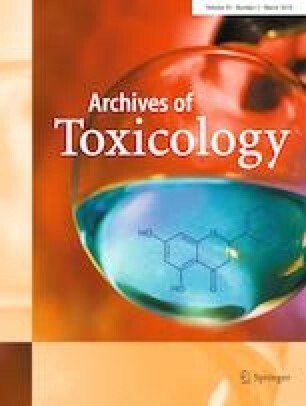 Herein, we provide all the available literature data in comprehensive and critical review to address whether K203 could be considered as a new drug candidate against organophosphorus poisoning with the stress on tabun. We describe its development from the historical point of view and review all available in vitro as well as in vivo data to date. K203 is easily accessible by a relatively simple two-step synthesis. It is well accommodated in the enzyme active gorge of acetylcholinesterase providing suitable interactions for reactivation, as shown by molecular docking simulations. According to a literature survey, in vitro data for tabun-inhibited AChE are extraordinary. However, in vivo efficiency remains unconvincing. The K203 toxicity profile did not show any perturbations compared to clinically used standards; on the other hand versatility of K203 does not exceed currently available oximes. In summary, K203 does not seem to address current issues associated with the organophosphorus poisoning, especially the broad profile against all nerve agents. However, its reviewed efficacy entitles K203 to be considered as a backup or tentative replacement for obidoxime and trimedoxime, currently only available anti-tabun drugs. The work was supported by the by the Czech Science Foundation (No. 18-01734S), University Hospital in Hradec Kralove (No. 00179906), University of Defense (Faculty of Military Health Sciences, Long-term Development Plan and SV/FVZ201601), and University of Hradec Kralove (Faculty of Science, No. 2201/2018). The authors are grateful to Ian McColl MD, PhD for assistance with the manuscript.